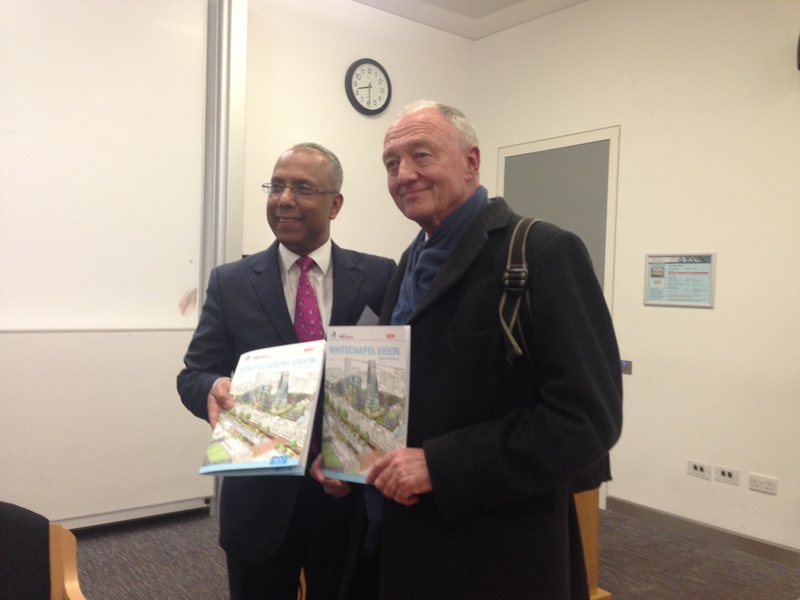 Mayor Lutfur Rahman today dismissed allegations by John Ware on BBC’s Panorama that he was favouring the Bangladeshi community in Tower Hamlets at the expense of others. The Mayor also refuted accusations that the Council’s grants process was not sufficiently robust. The council does not profile organisations by race or ethnicity because Third Sector organisations benefit the whole community. Even using Ware’s definition of “Bengali and Somali “organisations, figures held by the council show that these communities, which together make up 33 per cent of the borough’s population received £1.6m in grants or around 16 per cent of the total pot of £9.7m. The Mainstream Grants Programme 2013-2015 went to four cabinet meetings; three Corporate Third Sector Grants Programme Boards and two Overview and Scrutiny Meetings before the final executive decision by the Mayor. It was only during the last stage of the process that the Mayor made any direct alterations. The Mayor’s office has previously published the following statement: “Out of a total of £27m given out to the community, only £2.3m was given to the Bangladeshi community.” This figure is accurate from 2008-15 and covers Rahman’s time both as Mayor and Leader of the Council. The figures above provide a direct like-for-like comparison with the period 2012-15 used by Panorama. ‘Tower Hamlets only funds Bangladeshi groups’. or around 16 per cent of the total pot of £9.7m. Out of a total of over £27 million given to community groups between 2008- 2013, Bangladeshi organisations have received £2.2 million or 8% of the total. The Bangladeshi community comprise over 32% of the borough’s population. All decisions about council spending go through a series of checks and balances that involve council officers and elected committees with councillors of all parties. It is an insult to the intelligence of our residents to suggest that just because the Mayor funds an elderly group get together or a community group event that their votes can be bought. An episode of Panorama, focusing exclusively on Tower Hamlets Mayor, Lutfur Rahman, is due to air tonight (31st March). While claiming to look at the powers of directly elected Mayors, the programme ignores the other 15 in the country and concentrated on the one who happens to be Muslim – and who is up for re-election in a few weeks. Tower Hamlets Council finally voted for Mayor Lutfur Rahman’s plan to extend £2.6m Free Meals to schoolchildren up to year 6 – without cuts in other services. When Tower Hamlets Labour had proposed extending the Mayor’s original free meals programme, Mayor Rahman welcomed the principle but pointed out that they had only funded it for a few months – until after the election. Labour had paid for it by cutting a programme that would have put over a 100 women into much needed jobs. So the Mayor could not accept their amendment but pledged to bring a fully funded plan to the next Full Council meeting (26 March 2014). Labour rushed out and accused the Mayor of blocking free school meals. Tonight the Mayor’s proposals to deliver Free School Meals for two years were heard and Tower Hamlets Labour had to support the proposal and eat their own words. On Saturday I joined with Labour’s Diane Abbott MP, the leader of the Green Party Natalie Bennett, the President of the TUC Mohammed Taj and a host of other politicians, activists and musicians, plus a 10,000 strong crowd, to celebrate United Nations Anti-Racism Day. This year’s theme was to highlight the key role leaders can play in mobilising opposition to racism. This is an issue close to my heart. With over 18 different ethnic groups and 200 nationalities, Tower Hamlets is one of the most diverse boroughs in the country. I am proud that our Annual Residents’ Survey found that 81% of residents think people from different backgrounds get on well together in Tower Hamlets, up from 75% in 2010. However, strengthening community cohesion is an ongoing issue for us. We face threats from those on the fringes like the English Defence League and their friends. But we also face a more insidious threat in the form of irresponsible comments from mainstream politicians and the media. When the media and local politicians make totally unfounded claims about the council being in the ‘grip’ of Muslim extremists they create fear, suspicion and undermine community cohesion. When Robin Wales makes disgraceful comments about ‘apartheid’ in Tower Hamlets and John Biggs makes outrageous comments that I only want to represent one community, they undermine community cohesion in Tower Hamlets. 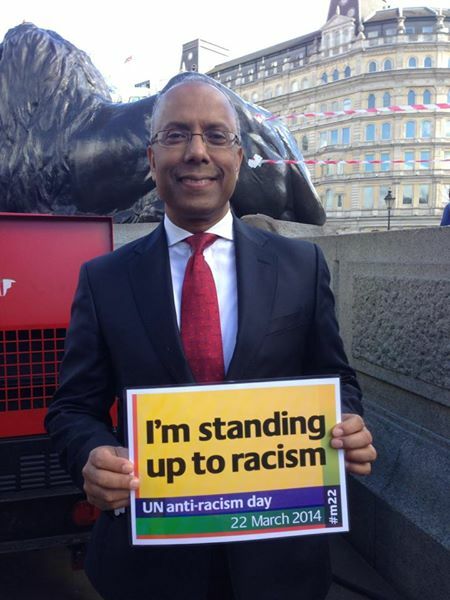 I am totally committed to ensuring Tower Hamlets is a place where all communities prosper and flourish. I can assure residents I will not let anyone hinder my administration from building community cohesion in our borough, regardless of whether they are the likes of the EDL or whether they are desperate politicians scrambling for votes.